Shows begin in Cologne, Germany on November 16 and run into early December – with more to be revealed. The European trek opens two weeks after the Swedish band wrap up the Black To The Future North American tour, which starts at The Fillmore in Washington, DC on September 22. 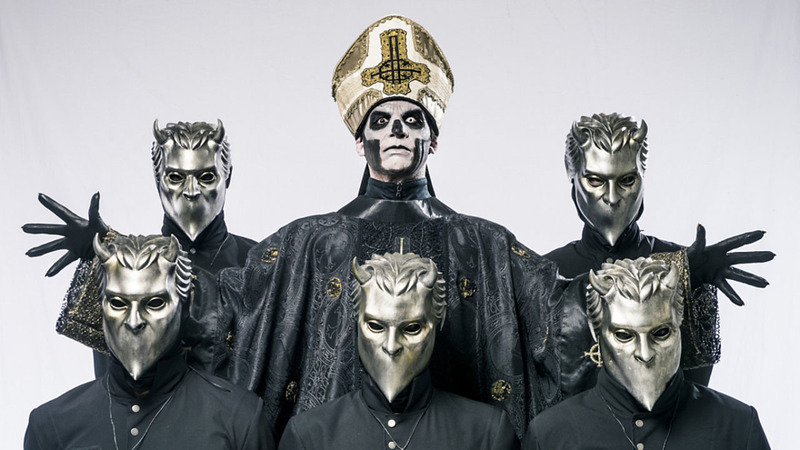 Ghost will release their third album, “Meliora”, on August 21. Produced by Klas Åhlund and mixed by Andy Wallace (Slayer, Nirvana, Guns N’ Roses, Linkin Park), the project sees new vocalist Papa Emeritus III alongside the Nameless Ghouls following the resignation of his three-month older brother Papa Emeritus II. Ghost debuted Papa Emeritus III and four songs from “Meliora” at Doom in Linköping, Sweden on June 3.